Going to the chapel and we're gonna get married. We are eagerly looking forward to my daughter's wedding. For us, there's a palpable excitement in the air. We've had long phone calls with the bride and the groom - my future son-in-love, to discuss plans for the day and life after that. We realize that the day itself is a celebration of their love and our love as parents. But it hasn't been all roses and sunshine. This phase of our lives and theirs has been an opportunity for letting go. For us, as parents, it is recognizing that your children are indeed adults and they're going to be all right. 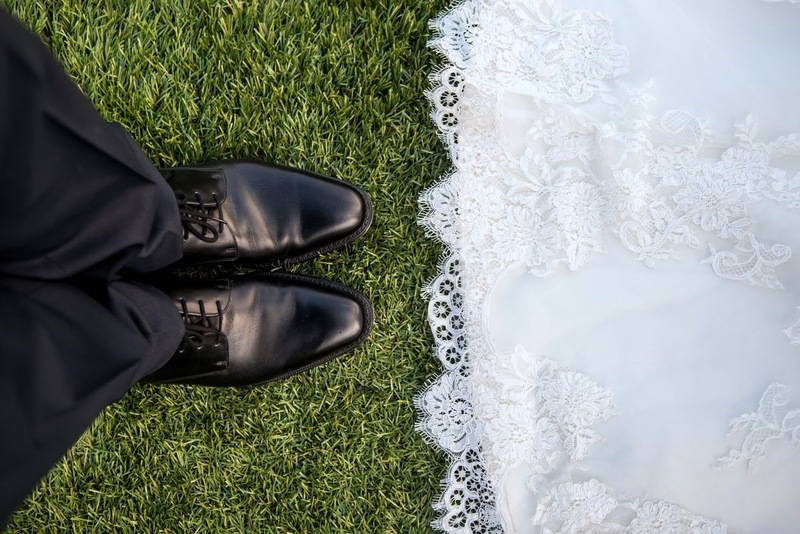 We've all become keenly aware that everyone thinks differently and sometimes it's not right vs. wrong, just different, especially when it comes to wedding traditions. For example, on a very trivial scale - cake or cupcakes. If you're Jamaican, that would be Black cake. The trivial oftentimes leads to a greater understanding of whom each person is. While I appreciate our closeness as a family, boundaries are firmly in place which recognizes the bride and groom as a new emerging unit. In this planning phase, they are establishing patterns for their new life as husband and wife. There are so many details involved in planning any endeavor and in that regard, a wedding is no different. Colors, cost, location, venue, bridal party, and the biggest detail - how many guests. Sometimes these details threaten to take over the big picture - the start of something new on your wedding day. With a loving fiance at her side, and her family as a sounding board, my daughter has been able to navigate the details. In our day to day lives also, details threaten to override the big picture and we have to take deep breaths, step back, pause, pray and remind ourselves of what's important. Enjoy the journey. For all the details, this is a part of life and enjoyable part at that. Attitude is everything and it's only as stressful as we make it. Life goes on so there will be unexpected bumps along the way which can take many forms - health scares, unexpected costs, difficult people; all have reared their heads. The planning phase is an opportunity to fall in love with your future spouse over and over again. When he sees how gifted you are at negotiations, this makes his heart swoon. When she sees you quietly taking charge of things she doesn't want to be bothered with, she is reassured again that she made the right choice. This is an emotional time - sometimes you just need to cry especially if you become overwhelmed with some of the details. Or as you look ahead, you may cry because of the happiness and peace you feel. 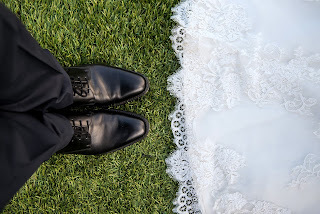 The culmination of all of this planning is your marriage but the day still requires some thought and preparation whether it's a big or small wedding, casual or formal, big budget or low budget. We've had many phone calls - where I simply reminded my daughter to not lose sight of what's ahead which is a declaration of your love and commitment to each other. It's a happy time and a celebration; trust me when I tell you no one will care what favors you gave them or if you even gave favors. They will remember the atmosphere of love in the room that the bride and groom exudes. When planning a wedding, as in life, it’s so important to enjoy the journey. So whatever your timeline is, give yourself permission to enjoy each step until the big day. Take deep breaths, step back, pause, and pray as often as you need to until that day when you can finally say "Going to the chapel and we're gonna get married!" What have you learned from planning? You know, you are so right. All these tips apply to life as well. Especially the cry when you need to - especially when overwhelmed and breathe, step back, pause, pray and remind yourself of what's important. I sure needed this word today! Thank you for sharing! Weeding cake is very essential in the event of weeding, without cake the weeding event does not complete and the people also enjoy the cake cutting event in the weeding event. So for getting the best weeding cake for your weeding you can visit this https://www.wedding.com/wedding-cakes.